By halting delivery of fracking proppants protesters hope to stall fracking efforts in North Carolina. See bottom of article for list of Momentive facilities worldwide, and take action! 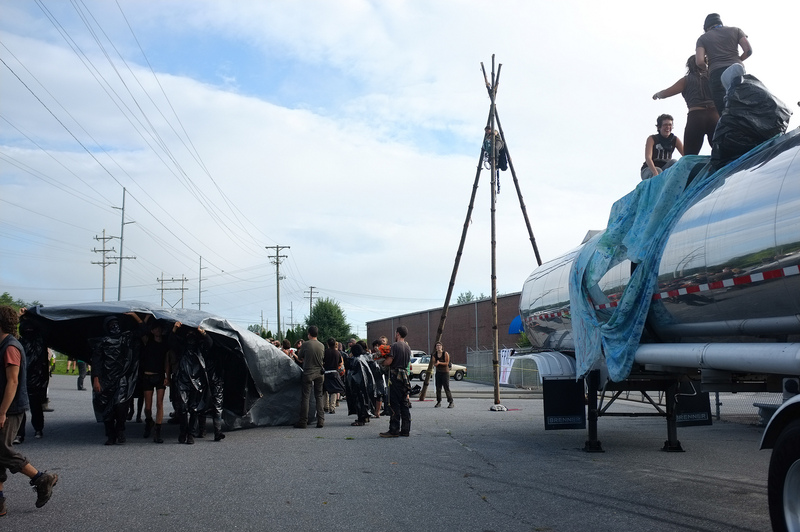 Morganton, NC – On the edge of the western mountain range, protesters with Croatan Earth First! are currently occupying an industrial manufacturing facility owned by Momentive and located at 114 Industrial Drive. 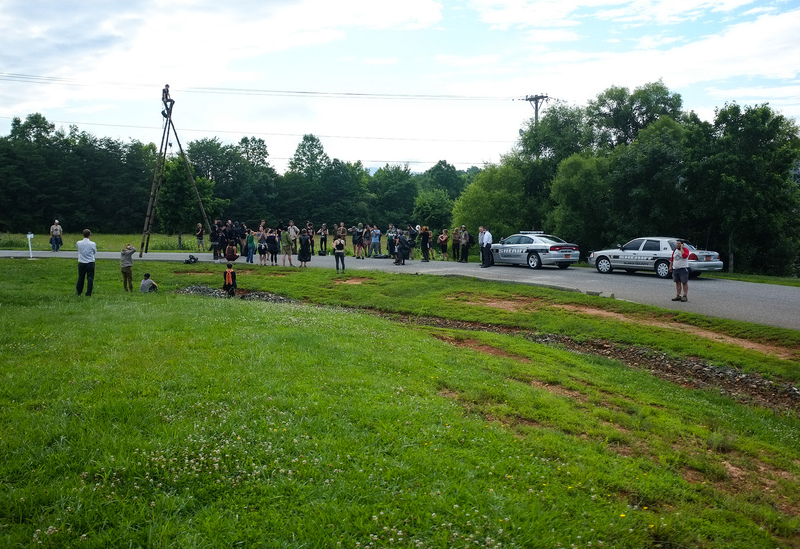 North Carolinians, who have been fighting to prevent hydraulic fracturing from coming to central North Carolina are joined in this action by people from around the country who also oppose shale gas extraction nationwide. Momentive is one of the largest worldwide distributors of “resin coated proppants,” a necessary component for fracking. Each fracturing stage requires approximately 136 tonnes of proppants. Reblogged this on Katuah Earth First!. GREAT ACTION Croatan EF! Your weblink (http://frackindustry.org/) goes somewhere, but there is nothing of substance yet. Is that because the website is brand new? Anywho, I am working on fracking issues here in TN, and would love to link up with y’all over in NC. Please contact me so we can talk at length. It will be updated shortly!